Maintaining a safe workplace is a crucial goal of most organizations, especially in industries where hazards are commonplace. In the manufacturing industry, keeping worker’s safe is a never-ending job and a considerable amount of effort is expended to minimize unsafe situations. When injuries and safety incidents do occur, the costs are considerable for both the worker and the employer. It’s in everyone’s best interest for workers to stay safe and healthy! Research on safety has provided a general framework for understanding the factors that lead to unsafe behaviors. In sum, the research has shown that there are two primary factors associated with safety behaviors: 1) Situational and 2) Personal. Situational Factors have to do with the organization’s safety climate. How much does the organization focus on and support safety within its policies and procedures? The stronger the safety climate, the higher the chance that employees will engage in safe, responsible behaviors and vice versa. The second set of factors are personal. This means that individual characteristics or traits can affect one’s safety behavior choices. For example, individuals who are impulsive and thrill seeking are more likely to take risks than others, even on the job. Situational factors are often addressed through safety training and other organization-level interventions. Personal factors, however, are oftentimes not specifically addressed. We conducted a study to find out how effective a well-designed assessment would be at screening out unsafe employees. Additionally, we wanted to investigate whether screening out these unsafe candidates would have an overall impact on organizational outcomes, specifically disciplinary actions and worker’s compensation claims. To answer these questions, we used an entry-level employee screening assessment, SecureFit®, as part of the hiring process at a large automobile manufacturer. No candidates were actually screened out using the assessment, which allowed us to see how they performed over time. The study ran for two years. At the end of that time period, company-recorded disciplinary actions and workers' compensation claims were collected and compared to the assessment results. 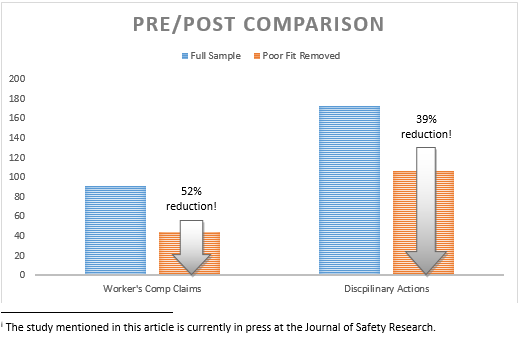 If the organization had used the assessment to screen out individuals that SecureFit identified as “Poor Fits”, aka “high risk candidates”, which was just 8% of the sample, disciplinary actions would have been 39% lower and workers' compensation claims would have been 52% lower! What does this mean? Personal characteristics can help predict counterproductive work behaviors and worker’s compensation claims. While one’s personality is not the only factor contributing to safety behavior, it is an important component that shouldn’t be overlooked. 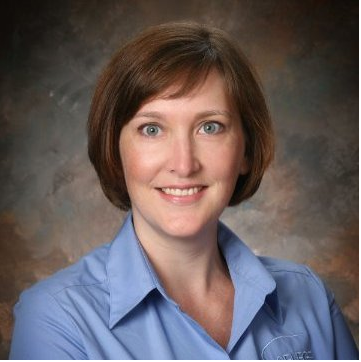 By incorporating key psychological traits into your hiring process and choosing to hire individuals who are more interested in being safe, you can set your organization up for safety success!